Additional Options: Email hosting, e-commerce solutions, payment gateways and much more! Nick will work closely with you to ensure your website design fits your needs and accurately reflects the vision and mission of your business. 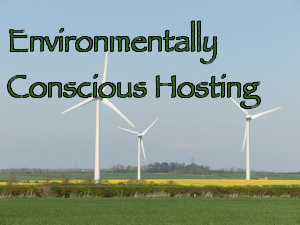 Webhosting services are green solutions using a datacentre which offsets power consumption by supporting green energy initiatives in wind and solar energy collection and production. Nick is happy to partner with Dynamic Hosting (a green Canadian based hosting company) to offer great, reliable, hosting services. Sign up with Dynamic Hosting and we’ll begin working on your new website today! Nick’s design expertise is based on the WordPress platform, which gives YOU full access to updating and managing your own websites. Tired of waiting for your current web host to update your website? Well wait no longer! Nick is active in all forms of social media, and manages accounts for several other organizations to help increase their interaction with potential and existing clients. Let Nick help you develop your social media presence, whether through Facebook, Twitter or something else! Nick uses his decades of information technology experience to build you a solution that fits the needs of your business in a professional and personal way. You aren’t just hiring a designer, you are working with a partner in enhancing your business for years to come.